Today, on our first official day of Smugglivus 2010, we kickoff the festivities with author (and traditional opener of ceremonies) Joel Sutherland! Who: Joel A. Sutherland, author of speculative fiction, horror, and children’s books. Waaaay back in 2008, when we first started The Book Smugglers, Joel was the very first author to contact us with a review query for a horror anthology he and his wife co-edited. 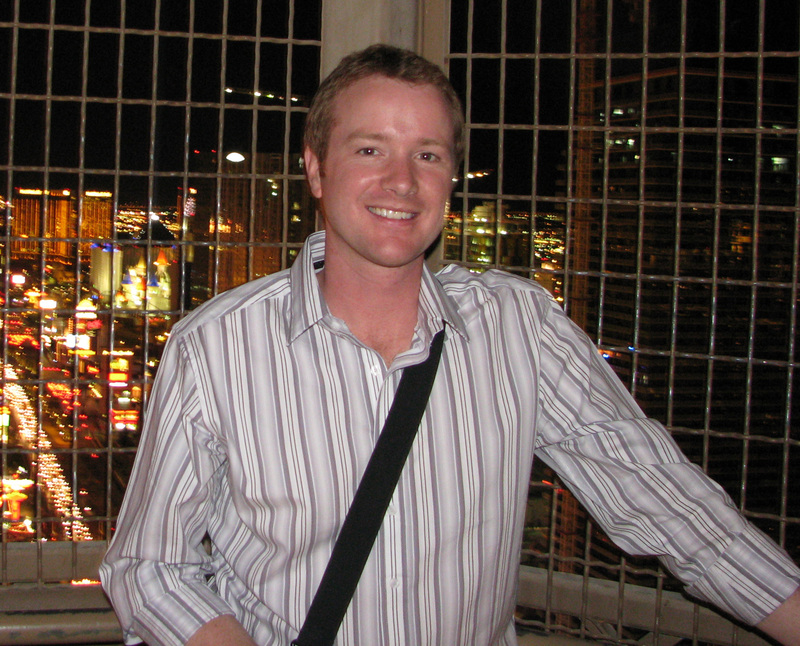 For the past two years, Joel has been our inaugural Smugglivus guest – so of course, we have to continue the tradition in 2010. Ladies and gentlemen, please give it up for Joel! Earthquakes, floods, H1N1, recessions, the coming of the end of the Harry Potter films… The world’s a scary place filled with scared people making each other more and more scared by the hour. And if you follow the book publishing business (after all, this is a book blog — or bblog for short, as I like to call them), you know that it’s filled with scared people making each other more and more scared by the second. First the big bookstores began to dominate the scene, muscling out the smaller independent stores, and now those same big bookstores, such as Borders, are beginning to close their doors. Publishers are cutting imprints, laying off staff and taking fewer chances on anyone whose surname isn’t Patterson, Steel or King. Mass market paperbacks are disappearing and mid-list authors are being forced to look for part-time jobs. But there’s one word that has the publishing biz and bookaholics the world over looking to the skies and running for their bunkers: e-books. You’ve heard the concern, of course. Perhaps you’re even concerned yourself. E-books will be the death of the printed book. 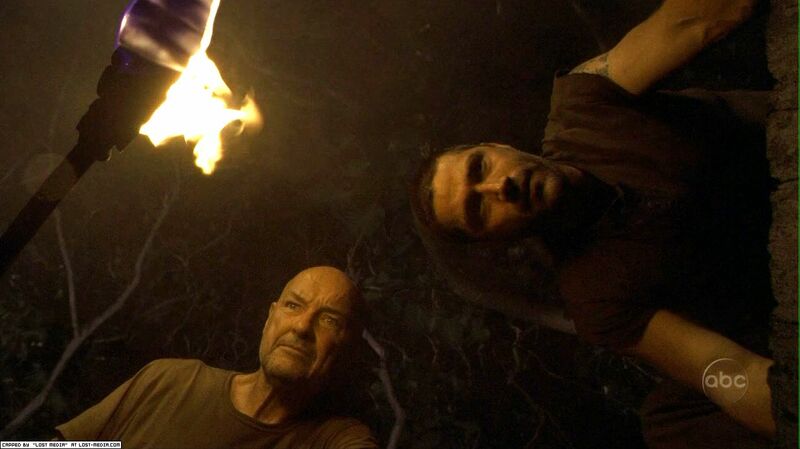 Like Jack Shephard in the final scene of Lost, books will be left to die with only the company of their most trusted companions (a la Vincent the dog, or people who refuse to change with the times and embrace technology) as they watch the Kindle and the Nook and the Sony Reader and the Kobo fly by overhead. Wow, that was deep. Like, buried-hatch deep. So what does all of this doom and gloom have to do with The Book Smugglers? Let me tell you: today, as you may or may not be aware (but as you’re one of this bblog’s countless faithful readers, I’ll assume you’re aware), is Smugglivus. Yes, Smugglivus! A time of cheer. A time of happiness. A time of celebration for each and every Bosmad (Book Smugglers Addict). Because we’re in for a treat, you and I — a month-long festival in which Ana and Thea take what is hands-down the best bblog on the internet and turn the dial all the way up to eleven. What’s in store for us? Reviews, interviews, guest bloggers, giveaways… It’s the most wonderful time of the year. If all of this booky goodness isn’t enough to make you forget about the world’s problems, at least for a day or two or thirty-one, then I don’t know what is. Smugglivus is also the time of year when we pause for a moment and give thanks to all the good that has taken place this year. For me, 2010 has been a banner year both professionally and personally. September saw the publication of my children’s creative writing book, Be a Writing Superstar (Scholastic). 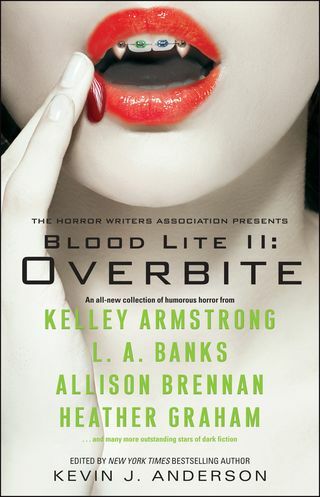 I had a story published in the bestselling anthology series Blood Lite II: Overbite (Simon & Schuster), edited by none other than Kevin J. Anderson. 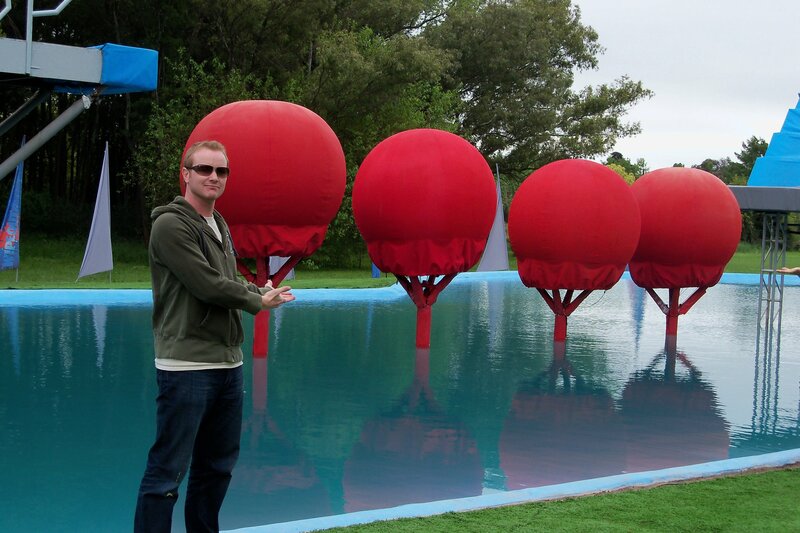 I was one of 260 contestants selected out of 45,000 applicants to appear on the first season of the Canadian version of the hit show Wipeout, and was flown to Argentina (where the international course is located) for a week to represent my profession and try to cross the big red balls as The Barbarian Librarian. This past weekend was the first annual DarkLit Fest, an event I organized that brought together nineteen authors, editors and publishers from the fields of horror, mystery and dark fantasy, including Guest of Honour Kelley Armstrong. It was a free one-day event with panels, readings, book signings, pitch sessions, door prizes and a complimentary lunch, and the entire event turned out better than I could have hoped for — a complete success! Phew. Like I said, a banner year. The only speed bump was when Dorchester Publishing pushed back their entire Fall lineup — my Bram Stoker Award-nominated novel, Frozen Blood, was scheduled to be released this past October. Instead, it will come out next August. Like I said, it was a speed bump as small as a simile (if that makes sense, which I’m pretty sure it doesn’t), and at least I know I’ll have something to be thankful for next year at Smugglivus time. The highlight of the year was the birth of my first child, Charles, on March 4th, a date that a geek like me can truly appreciate (it makes me think of those obligatory yet rousing speeches that are given just before a battle in epic movies: “March forth and conquer!”). 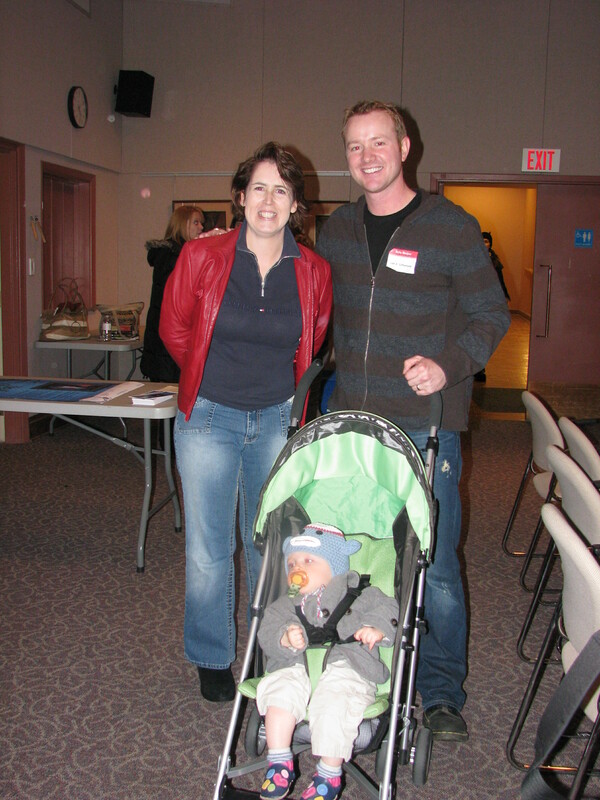 And my wife Colleen and I are ecstatic to announce that we’re expecting again. So much good news that I keep looking up for the giant Monty Pythonesque foot that’s surely about to unceremoniously squash me. I’d like to urge you to take a moment out of your busy day to think of one thing you’re thankful for this Smugglivus (it could be a life milestone, it could be the release of a new book by your favourite author, it could be bubble wrap, it could be Smugglivus itself!) and post a comment sharing it with the rest of us. One lucky person will be randomly drawn to win a copy of my book, Be a Writing Superstar. Sure, you might no longer be a child (or you might already be a writing superstar) but hey, it’s Smugglivus! You’ve got plenty of people young and old to shop for, and an autographed book can make a nice gift. One final word on the so-called threat of e-books. As long as people are reading — whether it be from a book or an e-reader or a monitor or a phone or a … gosh, what’s next? Direct e-book downloads to microchips implanted in our brains? — literature will survive, and that’s all that matters. After all, as Jack lay on that cursed island and closed his eye in extreme close-up one final clichéd time, there was the hint of a smile on his lips. He was happy. And so, I hope, are you. From this Bosmad to you, Merry Smugglivus to all, and to all a good night! And a Merry Smugglivus to you too, Joel! You heard the man! 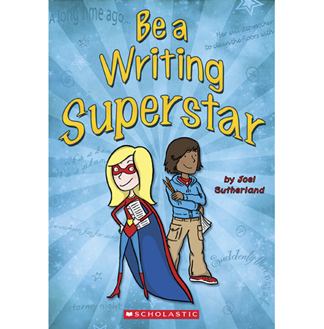 We have ONE copy of Be A Writing Superstar up for grabs! The contest is open to those in the US, Canada and UK, and will run until Saturday, December 4 at 11:59pm (PST). To enter, simply leave a comment here. ONE entry per person, please! Duplicate and/or multiple entries will be disqualified. Good luck! Thank you for the great post Joel. Congratulations on the birth of your child & the forthcoming release of your novel & your next child. Be a Writing Superstar looks great! Congratulations, Joel, for its publication and everything else! Congratulations to Joel on his book and the birth of his son. Happy Smugglivus! Lovely post Joel! Congrats on the new baby! Would love to read this book AND share it with my two school-age daughters. Thank you! Looks so good! Please enter me! Great post! Totally agree that literature will survive, no matter what form it eventually comes in. And on that note, I’m thankful my four kids love books as much as I do! Would love this book for my fourth-grader–at the moment he wants to be a writer & artist. “Barbarian Librarian” I love it!!!! Now my son will finally realize that we library workers are cool since he is a huge wipeout fan. Lovely! And very very true. 🙂 I am grateful for a lot of things this year, but the thing I’m most thankful for is that my university has let me join up with St John Ambulance for free. Which is something I’ve always wanted to do but could never afford things like the CRB. So now I get to live out one of dreams every week and it’s fabulous. Wonderful post 🙂 I love your comment about literature surviving the tests of time. And I’m thankful to be an aunt this year 🙂 Congratulations on your first child! I’m fairly new to the blog, but I love the idea of Smugglivus, and of celebrating books! This year I’m grateful for the health of my family, because last year saw a lot of difficult times. So this year was better than last, and heres to next year being better than this one! Joel, thank you for your wonderful contributions to the world of literature…this giveaway book looks awesome. Please enter me in the contast. Like everyone else, I’d like to congratulate Joel on all the wonderful things that have happened to him this year. Especially becoming a dad. -A full time job that gives me 3 day weekends. -And of course my own writing. Great post by both you and Joel. Would love to win the book! I’d love to win this book. I’m an email subscriber and follower. Thanks for the great reviews…and the wonderful giveaways…I don’t know how I ever read books before I read this blog! Wow, being a contenstant on Wipeout is so very cool. I doubt I’d have the courage, or the physical prowess! 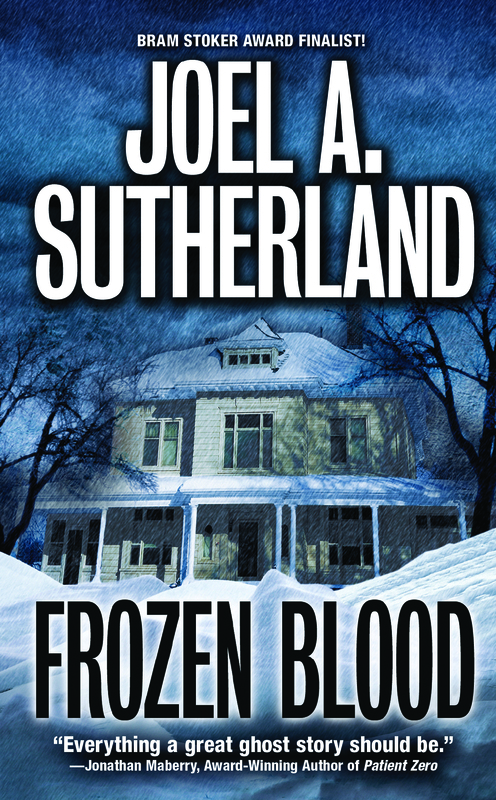 I will definitely be picking up Frozen Blood, it sounds like my perfect sort of story. Please enter me in the contest for Be a Writing Superstar. So what if it’s aimed at kids, we are always learning, right? Want, want, want, want, want. 😀 Please. Joel you are more than a little impressive when you take off the mild mannered librarian disguise. We trust you to only use these powers for good. I’m grateful for the Internet which has provided me with an outlet for writing (my blog about Horror Books), a source of income (enough to pay for up-keep of the blog) and lots and lots of wonderful e-books which I can buy, download and read. (And with my poor vision, e-books are a blessing of their own as they can increase the font size for easier reading). I’m also grateful that Frozen Blood will still be coming out in paperback despite all the fun at Dorchester. Thank you for the contest. I’m new to The Book Smuggler’s Blog but I’ve already put their RSS in my Google Reader! 2. My wonderful hubby, who has gone above and beyond everything I ever thought marriage could be and who takes such great care of me and Emma. 4. My new job. I love my new position and going to work is fun again!